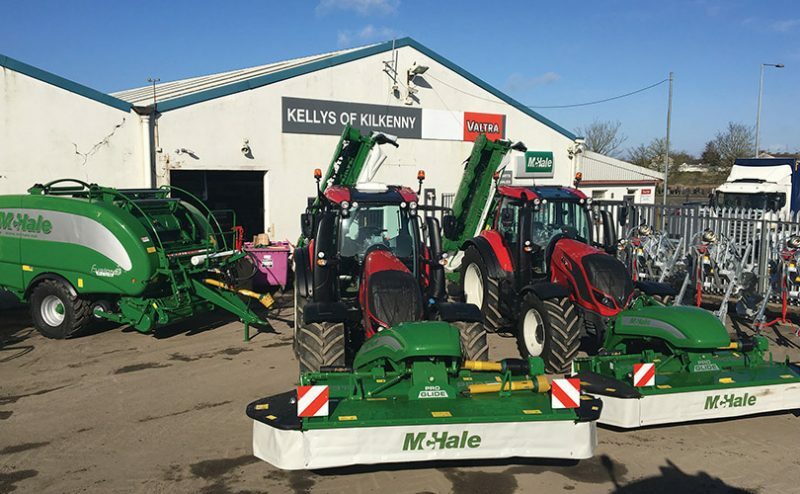 Synonymous with the Valtra and McHale brands, Kelly’s of Kilkenny is one of the largest stockists of new and used agricultural machinery in Ireland. Sales manager Brian Roche explains more. Kelly’s of Kilkenny is a sister company of Kelly’s of Borris and Kelly’s of Laois, who are both main CLAAS dealers. In 2017, Kelly’s of Borris celebrated 60 years in business. Kelly’s of Kilkenny is coming up on 30 years in business, having first opened its doors on the Hebron Road in 1990. 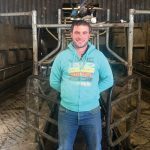 Kelly’s of Laois was established in 2015. The successful family-run business employs 60 people in total. 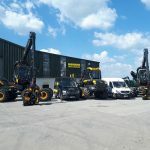 As well as supplying new and used farm machinery and plant equipment, all three branches service, repair and carry spare parts for everything they sell. They arrange delivery within Ireland on all spares and have customer care mobile workshops covering the 26 counties. A complete back-up service is provided. 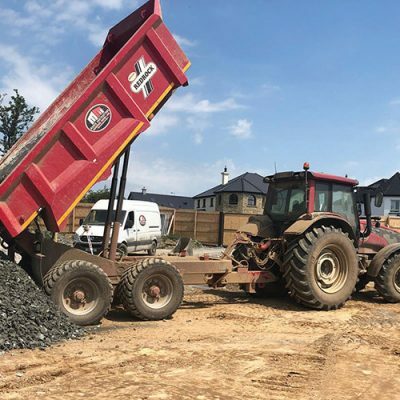 While Valtra and McHale are their flagship brands, Kelly’s of Kilkenny are also authorised agents for JCB loading shovels, Horsch, Redrock, Smyth Trailers, Challenger, Claas Greenline harvesting systems, Sulky, Twose, Bargam, Dal-bo rollers, Walter Watson, Quicke, Major, Farm Gem, MX, Honda and Husqvarna. 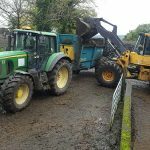 “We have a full range of tractors and farm machinery – new and used – in stock. Something to suit every pocket,” says Brian, who is joined in sales by Clive Moylan. 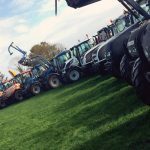 Kelly’s of Kilkenny carries the entire range of Valtra agricultural tractors and plant equipment, including the A, N, T and S Series. The newly-launched A (A4) Series tractors are small and agile and are expected to prove popular with dairy and dry stock farmers. Built in Finland and Brazil, the new fourth-generation Series is available in seven models ranging from 75hp to 130hp. All models are powered by AGCO Power Stage 4 engines. 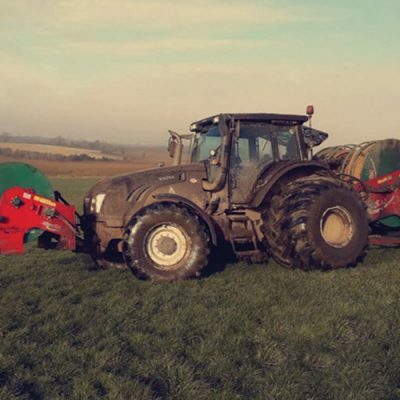 Valtra have also recently launched their new N Series 115-201hp which drives like a small tractor but works like a big one. It features the most powerful engine in its class, yet the handling is agile enough for more delicate work. And with longer service intervals and lower fuel consumption, the total cost of ownership is kept to a minimum. The N Series offers six power levels and five transmission and hydraulic combinations: HiTech, HiTech with HiTrol, Active, Versu and Direct. The N Series also features the new Valtra SmartTouch Armrest which integrates the ergonomic armrest with a multi-function drive-lever, valve switches, rear linkage and PTO control, a touch screen terminal and push button control pad, bringing all tractor functions within easy reach of the operator. T Series tractors are available in three different model types – Versu, Direct and Hi-Tech – which range from 170 to 271hp. Ranging from 290 to 405hp, the fourth-generation S Series is a tractor whose balanced performance helps you to get the most out of your investment. The first tractor engine to comply with the Stage 4 emissions standard, the S Series has everything that you need but nothing that is unnecessary. Each detail has been carefully thought out as profitability is the sum of competitive technology, reliability, operating costs, ergonomics, services and resale value. Like the N and T Series, the S Series features the award-winning Valtra SmartTouch Armrest. “We’ve been extremely busy since the new N4 Series was launched,” Brian explains. 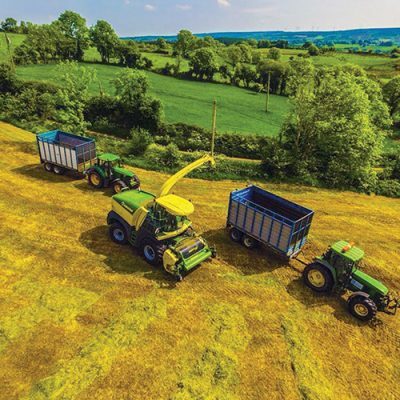 Kelly’s of Kilkenny have also seen a surge in baler, dump trailer and lower loader sales. The all-new McHale Fusion 3 Plus integrated baler wrapper is proving to be a big hit with customers. The Fusion 3 Plus consists of an 18-roller fixed chamber baler and an integrated vertical wrapping ring. It uses film on film technology to apply film to the barrel of the bale in the bale chamber. The Fusion 3 Plus is a fully automatic machine which is controlled by the McHale iTouch Control Unit and also has an inbuilt camera to monitor wrapper operation. Kelly’s of Kilkenny would like to take this opportunity to thank their customers for their continued loyalty and support.